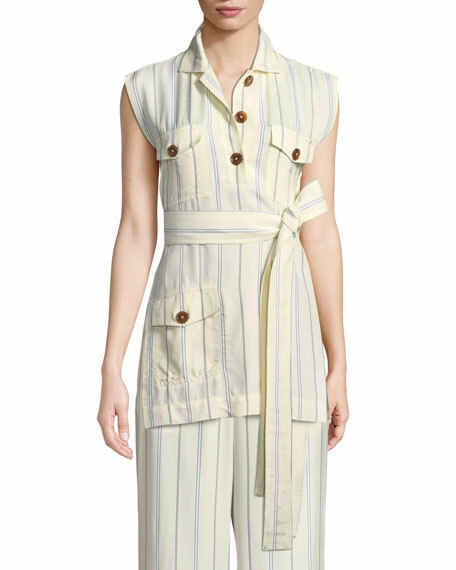 Derek Lam 10 Crosby striped utility tunic. For in-store inquiries, use sku #2527551. 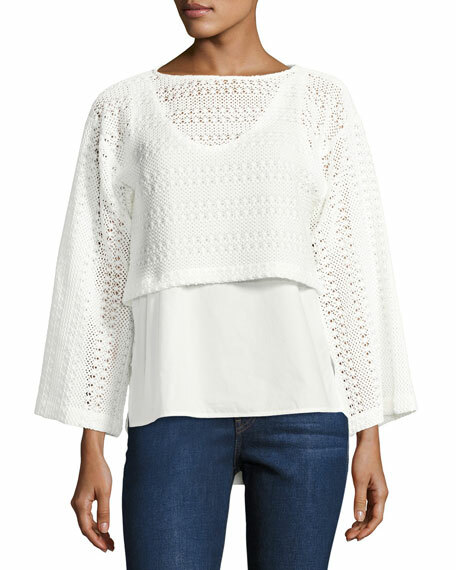 Derek Lam 10 Crosby 2-in-1 crochet top with a poplin underlay. High bateau neckline. Wide bracelet sleeves. Boxy silhouette. Relaxed fit. Pullover style. 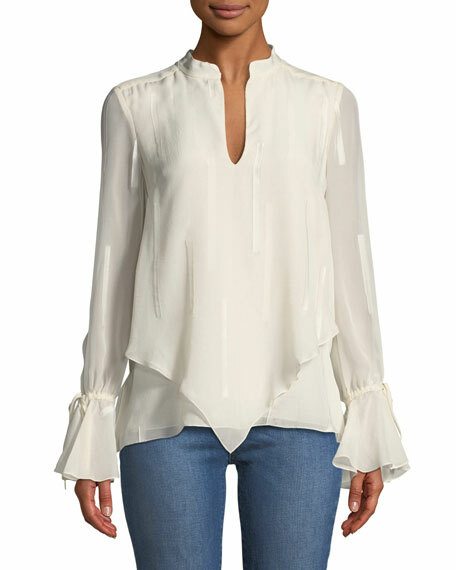 Arched hem. Cotton/nylon. Imported. Derek Lam 10 Crosby dress. Crew neckline. Long sleeves; button cuffs. Tonal belt. A-line silhouette. Bias seam at hip. Asymmetrical hem. Knee length. Back zip. Viscose/wool/spandex. Imported. 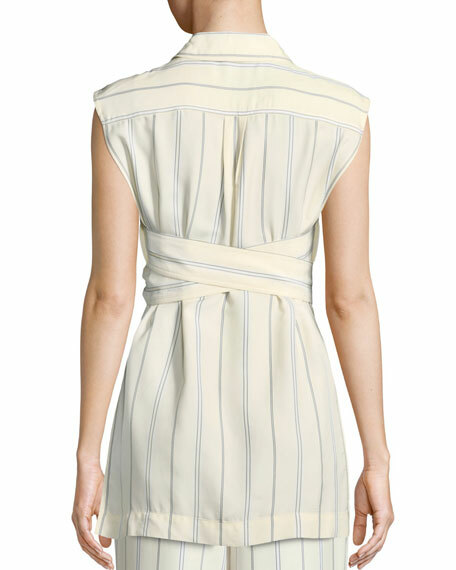 Derek Lam 10 Crosby blouse in clipped jacquard stripes with draped overlay. Split neckline. 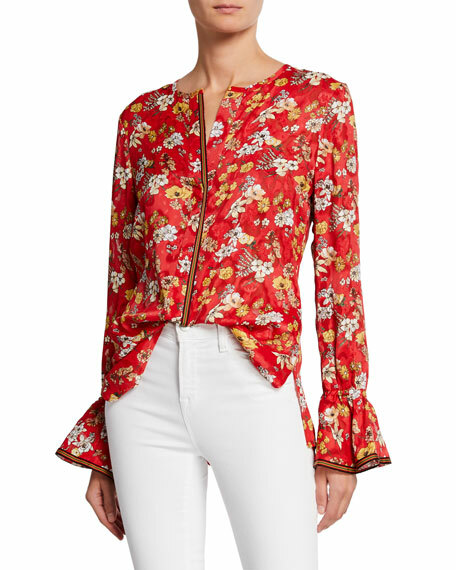 Long bell sleeves; tie cuffs. Relaxed fit. Yoked back; box pleat. Slipover style. Silk. Polyester lining. Imported.